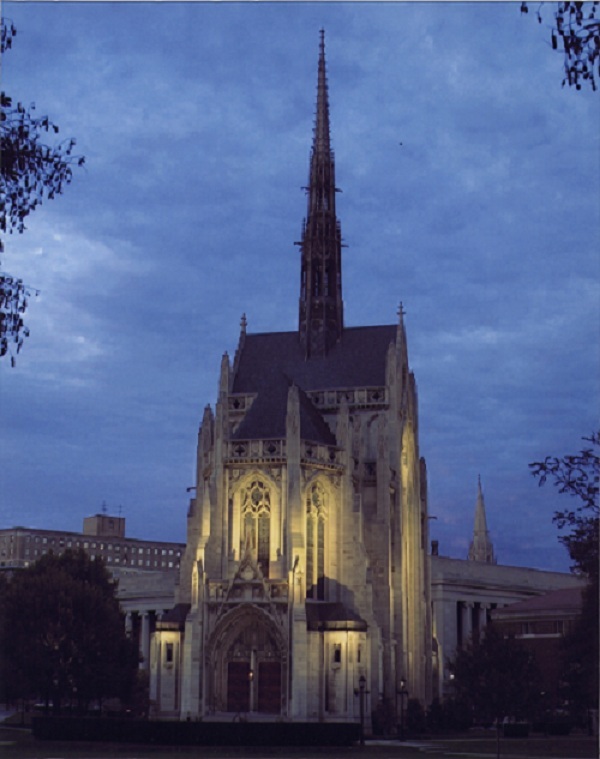 Heinz Chapel's internationally renowned stained glass windows, by American artist Charles J. Connick, are its most striking feature. Because stained glass needs exterior light to be visible, the intricately detailed glass work is lost at the end of daylight. The windows of the chapel can be brought back to life for your evening ceremony using the chapel's exterior illumination. As your guests arrive, the chapel will be awash in brilliant light, showcasing the exquisite architecture and becoming the dominant feature of the University campus. Once inside, your guests will be surrounded by the luminous glow of the 23 stained glass windows. This special feature is available for an additional fee of $100. Call the Heinz Chapel office at 412-624-4157 to make arrangements.